This is a beautiful digital download of a red rose that I created from a pretty Victorian paper scrap. 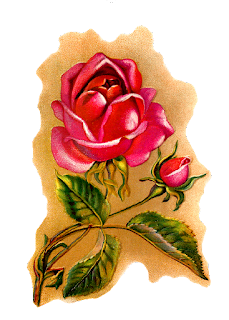 I love the shading around the red rose image, which makes it perfect for all kinds of projects, such scrapbooking, greeting cards, tags, and so much more. 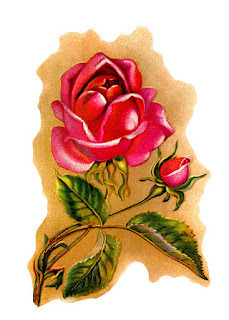 Roses are abundantly featured in vintage botanical art, and I've posted lots of gorgeous rose and flower downloads this month. I hope you're enjoying all the lovely digital flower clip art in many of your projects! Thank you so much for the lovely rose!